However, 91 Zika virus-infected patients are healthy now after treatment, he said, adding the department is making all efforts to contain mosquito larvae in the affected area. Most of the cases have been reported from densely populated Shastri Nagar locality of the state capital. 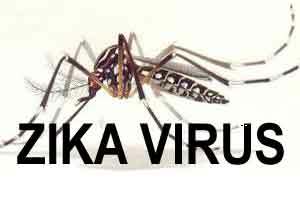 The first positive case of Zika virus in Jaipur was reported on September 21 which alerted the authorities both at the state and the centre. In view of the rising cases, the Centre on Wednesday rushed an Indian Council of Medical Research (ICMR) team to the state to intensify vector control measures. The team of experts from ICMR has changed the insecticides which are being used in the city and neighbouring districts to kill mosquitoes that spread Zika, dengue, and chikungunya viruses as a part of the integrated mosquito management programme. Intense fogging and other anti-larvae activities are being carried out in the areas from where cases have been reported. In India, the first outbreak of Zika virus was reported in Ahmedabad in January 2017 and the second in Tamil Nadu’s Krishnagiri district in July that year. Both these outbreaks were successfully contained through intensive surveillance and vector management.